3 packs for $15! Totalling $70 at retail, you enjoy an unbeatable 79% off! 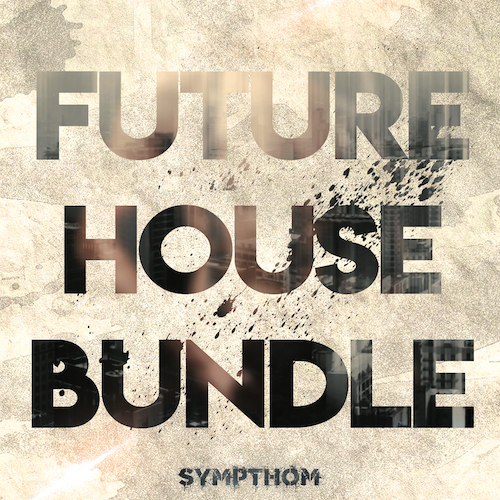 Sympthom presents Future House Bundle – a collection of presets, construction kits and samples for your production! This incredible Future House Bundle features over 3GB of sounds for you to explore the future of Future House like never before! If you are inspired by Tchami, Oliver Heldens, ZHU, Curbi, Mr Belt & Wezol sounds, you should really check it out! In this pack you will find only the most current and unique sounds. Each sound guarantees instant inspiration and perfect tone. Get some original and super wild & dirty sounds in your mix. This pack includes everything you need to create your highly professional Future House track! All sounds are 100 % royalty free, and can bee used in any production without any limitations.